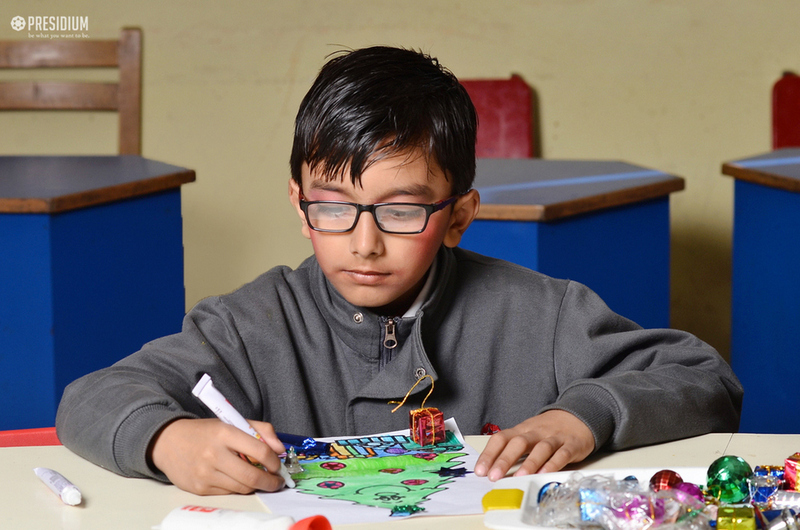 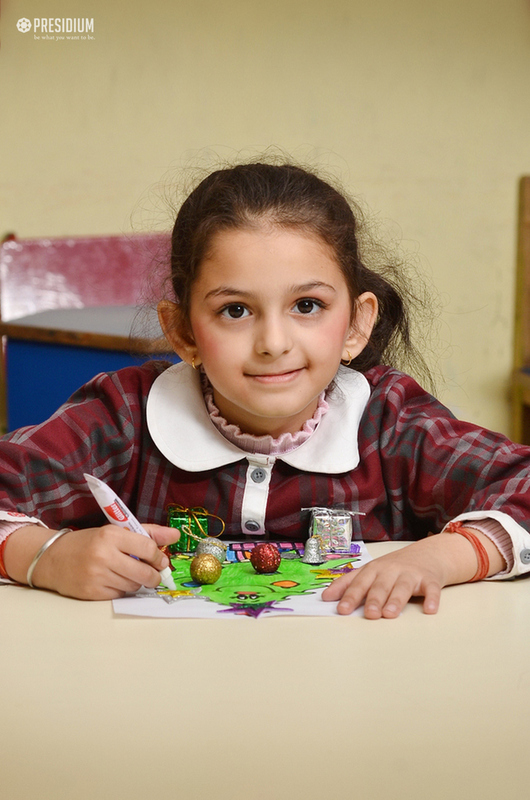 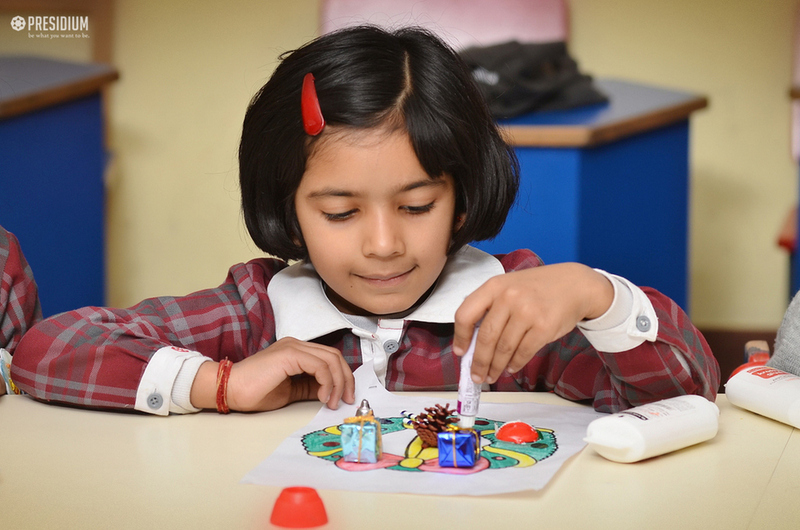 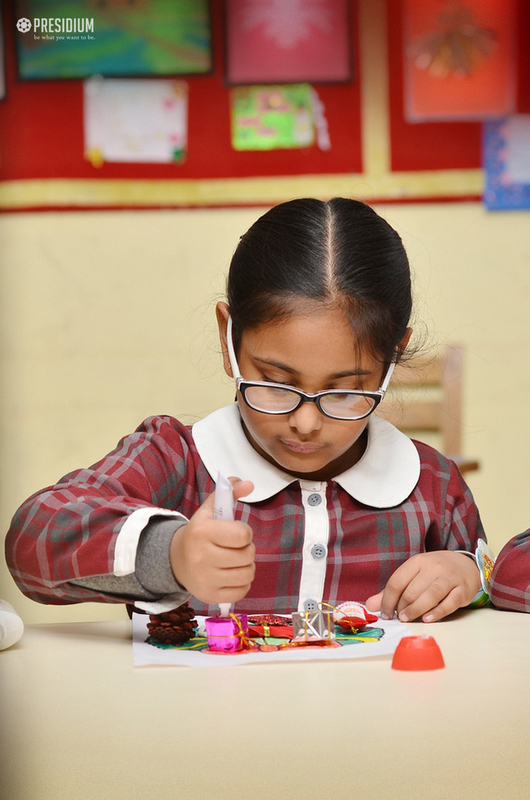 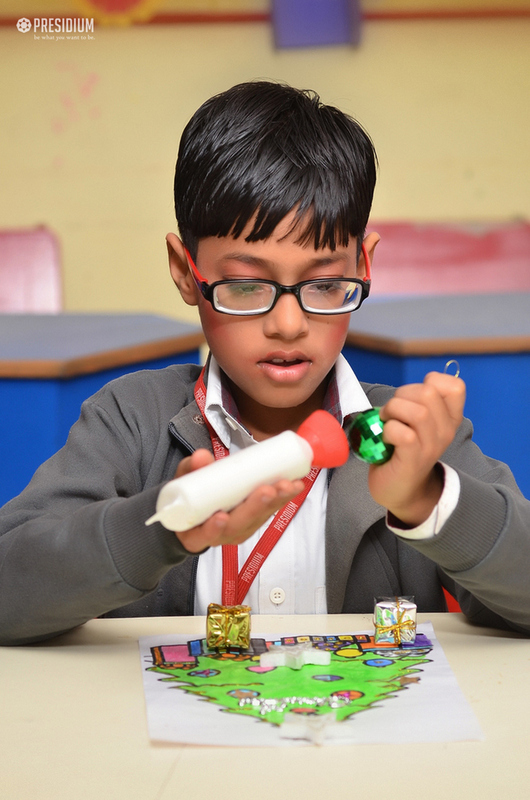 Students of Grades 1 & 2 created beautiful and alluring crafts on Art Activity Program on Xmas at Presidium, Faridabad recently. 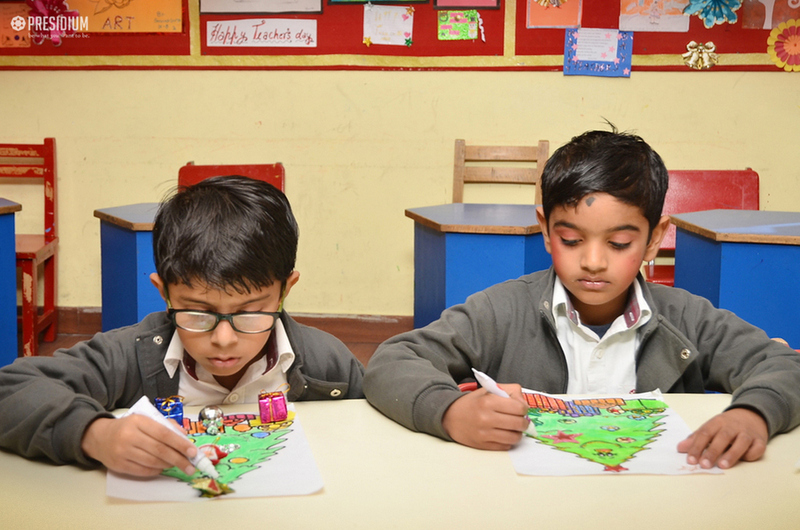 With the aid of teachers, the students accomplished tasks such as Wreath Decoration and Xmas tree decoration. 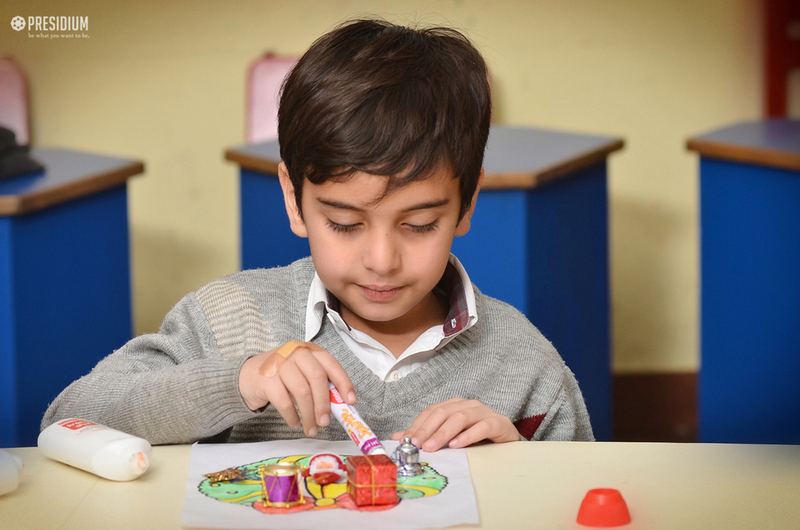 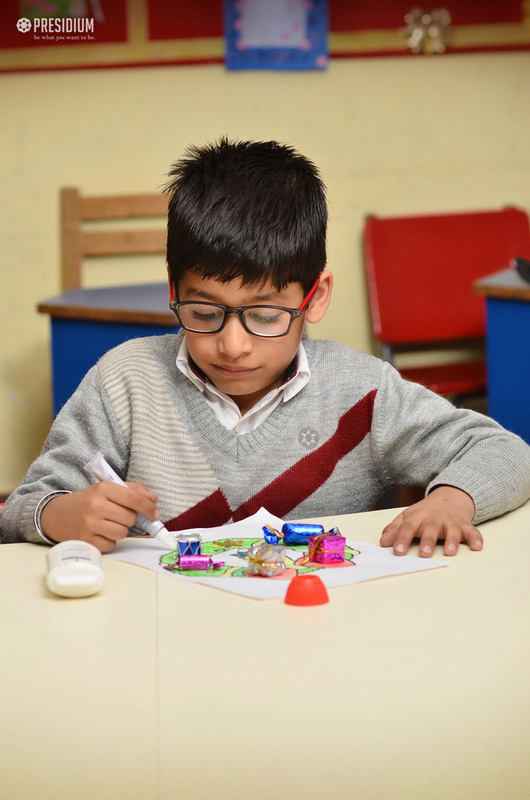 These activities gave wings to their imagination and further helped them in building their fine motor skills, increase visual processing, and problem-solving abilities. 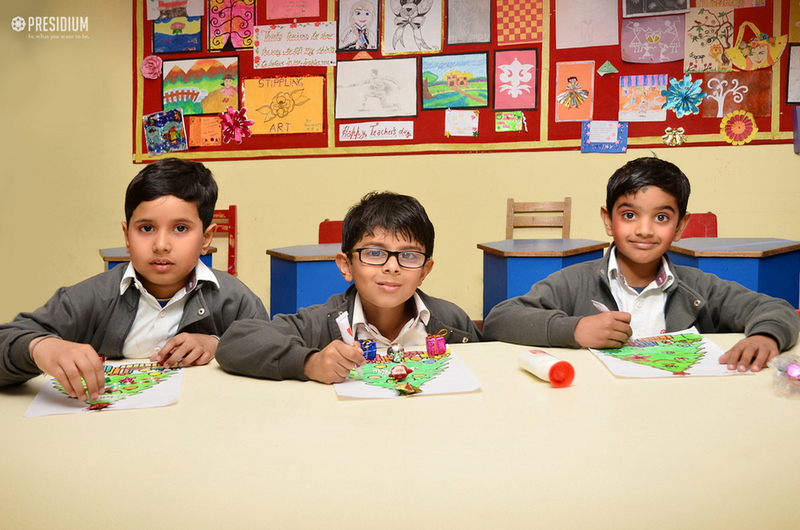 All students thoroughly enjoyed this day and gained most out of it.